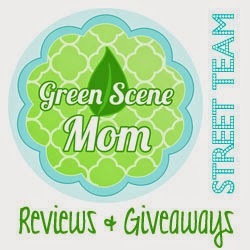 Today's review & Giveaway is from Kivelli Baby. They carry elegant infant and toddler gifts. I was sent their Custom Pacifier holder which retails for $29.99. Never lose your baby's pacifier again with our trendy & chic pacifier holders. As the perfect accessory, they make a great finishing touch to any outfit. "bling" it on! They come ready for gift giving in a beautiful leatherette jewelry box. Many styles and colors to choose from. I choose the Vintage style in the color Tiara Coco. They are engravable and I just choose a letter K for our last name since we are not pregnant yet. You can also get a name engraved as well. The beading detail on this Pacifier holder is just beautiful. I choose the chocolate colored brown ones but they have many others to choose from. I just love this and one lucky TTGG winner is going to win a Custom Engraved Vintage Pacifier Holder!! Just enter thru rafflecopter below. I like the Coco Pink Pacifier Holder! I like the sugar & spice one! Tiara Coco is my favorite. Tiara coco is my favorite! So chic!